Type of car determines our rates: There are different factors that can determine our rates. Some insurers even provide discounts for brightly-colored cars, because they will be easier to see in the night. The most important details will be the make, model and year of our car. In essence, good car manufacturer, low-end model and older year will reduce the overall rates. 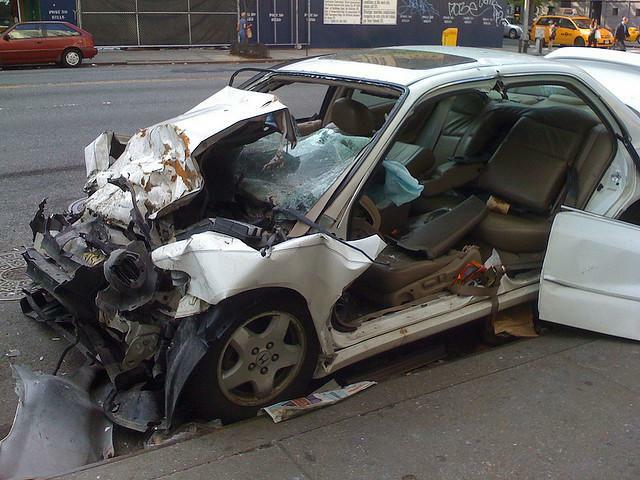 Some car models have fewer claims with impressive safety records. We may waste money on coverage: Although some coverages are mandatory, others are actually options. As an example, we may not need comprehensive coverage for our car. However, this kind of coverage could be needed for newer, more expensive cars, because repair costs can be quite high. On the other hand, similar coverage may be hard to justify for cheaper, older cars. We can lower premium by increasing deductibles: Although this is a common fact, some car owners may not be aware of it. They may carry very low deductibles, causing them to pay higher premiums that necessary. If the likelihood if an accident is not too high, it is a good idea to lower our premiums by raising our deductibles. Late payments may cause our coverage to get cancelled: It is wrong to assume that car insurers will always forgive late payments, especially if we do this habitually. If late payments happen too often, it is possible that our policy will be cancelled. It means that our coverage will be significantly reduced and we will have less protection. If we want the insurer to reinstate the coverage, we may need to pay an upfront annual premium. It is much better to make timely payment whatever we do. It should cost less to insure new cars: This can be a surprising thing for many people. However, it can make sense due to specific factors. As an example, new cars may have better security and safety features. It means that it will be less likely for thieves to steal the car and car owner can better control their cars. Newer cars are often driven by more mature drivers, while used, older cars can be driven by younger individuals. That’s the reason why people may pay higher premiums for older cars. Also, older cars may lack high-end security and safety components. This will increase the risks of theft and accidents. Rates vary significantly from insurer to insurer: It means that it is possible that the rate offered by one insurer is substantially higher than others insurers, even for identical deductibles and coverages. This is a detail that we need to consider when we want to reduce overall car insurance costs. So, it is important for us to shop for better deals. It’s worthwhile spending a few days researching for possible alternatives, because we will have a multi-year relationship with an insurer.